If you might be interest to check Aadhaar linking status. Here i will try to explain how to check LPG Addhaar card link status with bank for LPG gas Subsidy. Before that you need to link your aadhaar card to LPG gas subsidy and as well as Aadhaar card link to bank account then only you can supposed to check your aadhaar card linking status with bank for LPG gas. You have done successful above two process then it’s a very easy. 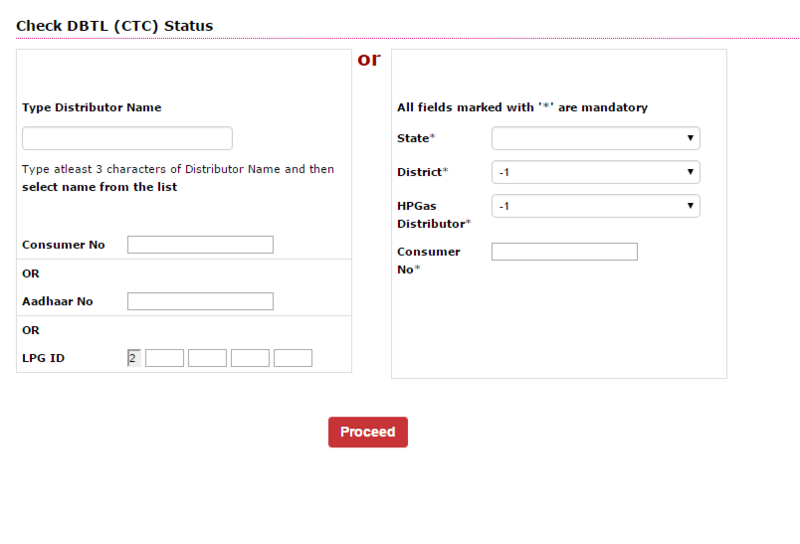 Now you can easily find out your linking status consumers of Bharat gas, Indane Gas and Hp Gas etc. A well as consumers of HDFC, ICICI, State bank of India, Vijaya bank, Punjab National Bank, AXIX bank, Dane Bank etc. What you have to do is simple open the official webpage of Aadhar linking status check by particular gas company then fulfill all your details after that click on the processed button. That’s it. Here we are giving full information about how to check Aadhaar card linking Status for LPG gas Subsidary. This process is online mode so you can check whenever you want. If you do not have any idea how to check status just follow here step by step. This process is very simple. There are two methods you can check Bharat gas aadhaar card linking status. Here I will try to explain how to check Bharat gas Aadhar linking status. Just follow step by step instructions here. The first process is like simple entering your mobile/land line number or Aadhaar number after that just click on processed button. In the second process you need select state address, district address, bharatgas distributor and finally consumer number. Just fulfill all the details and enter on the proceed button. That’s it you have done the whole process. 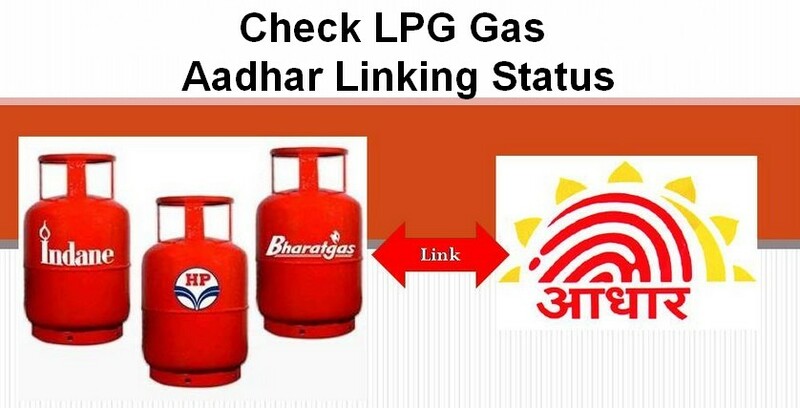 You can easily check your Aadhar Link status with Bharat Gas. If you want to check your Indane gas aadhaar linking status. Here i will try to explain how to check aadhaar linking status with Indane gas. It’s a very simple process. Just take a look here for Indane Gas aadhar status. As you can see above image there are two methods where you can find out your linking status. One is quick search and other one is normal search. In quick search you need fill distributor name, consumer number or Aadhaar number and LPG id. After that just click on the proceed button. In normal search you need select State address, district address, distributor type and consumer number. Then click on the proceed button. That’s it now you can get to know your status linking status. There is another option for Indane gas users. Aadhar Link Status by SMS. By sending SMS you can check your linking status. Just simple Send an SMS from your registered mobile number as – Indane DBTL STATUS and send it to 7738299899. This process is as same as above process. What you need to do is just fulfill your details. Here i will try to explain how to check HP gas aadhaar card link status. Just follow here step by step. You may get idea of Checking Hp gas linking status with Aadhaar card. As you can see in above picture there are two process. In the first process you need to fill your distributor name and the distributor name should be at least three characters. Consumer number or Aadhaar number or LPG ID. After completing your details just click on the process button. In second process you have to fill your state address , district address, HP Gas distributor name and consumer number. Then click on the Processed button. That’s it you have done the whole process. If you are consumers of various bank like HDFC, Axix Bank, ICICI, State Bank of India, Punjab National Bank or any other bank you need to link your aadhaar card to bank account . If you have done successfully then it’s ok. Would you like to check your bank status and aadhaar status connection there are two options. One is by contacting your bank branch office and second option is contacting your bank’s customer care services. If you have a mobile in that case you may send SMS like just type *99*99# from your mobile. 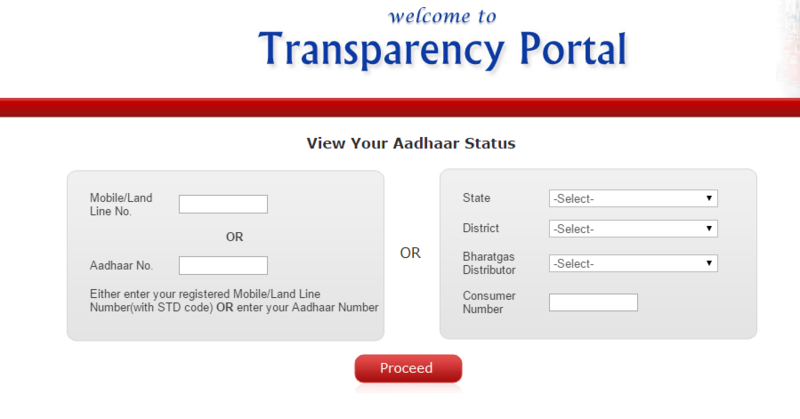 It will ask your aadhaar card number and enter your aadhaar card number then click on the ok button. Now press the button 1. You may get to know your bank name linked with your Aadhaar card. Here we are giving various banks of customer care number. If you want to contact any one of the bank now you may get to know easily. Just click here. Before entering your details just be careful. All details mandatory that’s means you have to fill all blanks then on only you come to know you AAdhar bank linking status. I hope you got your Aadhar Linking status with bank and Gas Connections. I have listed method to check LPG Aadhar link status for all companies. HP, Bharat and Indane. And also with the banks.